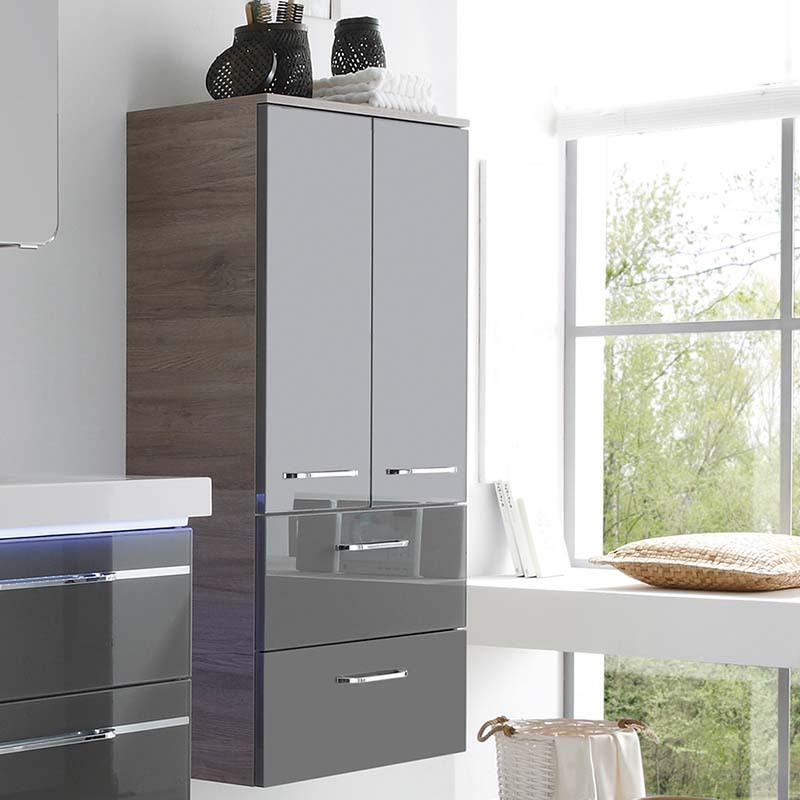 Furniture that brings real visual emphasis to your bathroom layout, the Balto 2 Doors 2 Drawers Wall Hung Bathroom Storage Cabinet is also undeniably practical. By incorporating two glass shelves, this product is ideal for holding your toiletries and ensuring that your bathroom remains neat and tidy at all times. This affable item has a front and carcass that are available in an array of colours, so you can ensure that your colour scheme is adequately complemented, too.